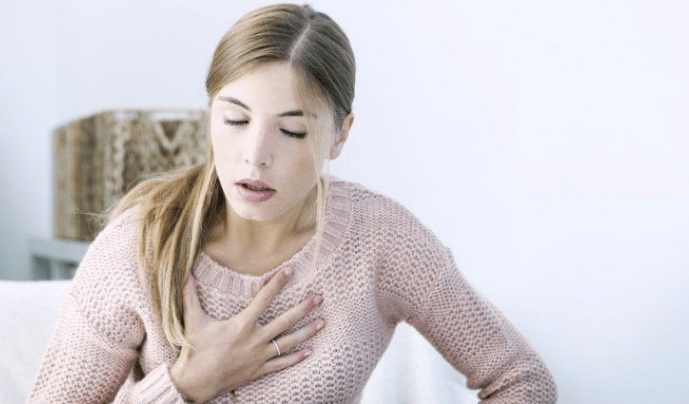 The most common disorders are an asthmatic allergy or seasonal rhinitis, sinusitis, asthma, flu, sinusitis, tonsillitis, otitis, bronchitis, cold or a cough. We present a summary of the 5 Best Teas for Respiratory Function with properties to treat conditions of the respiratory system. Eucalyptus is the most recommended plant in any respiratory condition because it is expectorant (helps to expel mucus) and bronchodilator. In the past, eucalyptus smoke was inhaled, so eucalyptus cigarettes were formed to alleviate respiratory ailments. It also helps to relax the throat and lungs, easing cough and irritation. Eucalyptus tea is even antiseptic, promoting faster healing of infections. This tea acts as both a demulcent and expectorant, meaning it helps to ease congestion and clear mucus from the lungs. Chickweed also contains saponins, compounds that can alleviate inflamed mucous membranes, useful in cases of infection. Fennel has mild expectorant properties that help alleviate respiratory infections associated with a cough, colds, flu, and nasal congestion. It is believed to be responsible for their antispasmodic, anti-inflammatory, expectorant, diuretic, Depurative, antibacterial/antimicrobial, anti-cancer and antioxidant properties. Peppermint is ideal for cases, nasal congestion, sinusitis or bronchitis. It produces an immediate freshness with a tonic effect that improves the circulation of the local blood, de-inflaming the nasal sinuses that produce tamponade and helping to expel the mucus. It is used primarily to alleviate respiratory ailments, from simple colds to flu, pharyngitis, bronchitis, sinusitis, respiratory allergies with rhinitis and mild asthmatic processes. diffuse secretions, which helps to cough up, softens a cough and removes the infection. See what the best option is for your problem and avoid self-medication because it can be dangerous. Go to your doctor and follow his directions. Related article: Best herbal teas to beat the cold. This post may contain affiliate links. This means I may make a small commission from any purchases made using them. Thanks, Dale, I am glad you find this post of some help. If you want some more teas for asthma please check these posts as well. https://myteashack.com/4-best-… and https://myteashack.com/4-best-… enjoy it! I like the fact tea can help improve respiratory function. As someone who considers himself a purest, I’m very skeptic about medicine, even modern-day pharmaceuticals, so I’m always looking for natural ways to boost and maintain my health. I have friends and my health-fanatic friends (much like I am), and they swear by tea. One particular friend of mine is always picking my brain about different types of tea to try (for respiratory function!). Now I can point them to a credible article recommending five different types of tea. Hi Todd. The list of herbal tea benefits is quite long if you always try to find natural ways to improve your health. this other posts may be helpful next time your friends bring up the subject.https://myteashack.com/15-benefits-of-drinking-tea-every-day/. Enjoy it. I must thank you for sharing such an interesting and helpful topic. The respiratory system is truly important for our body but just like you said, not so many people pay close attention to it. I regularly consume eucalyptus tea but now I will combine it with fennel seed tea. What do you think about mint tea? Can it positively affect our respiratory system? Hi Daniel Thanks for your kind words, I am glad you find the post helpful. Regarding your question, my answer is YES they are all from the same family, sort of speak. check this one out, please. This is a really useful article that you can gain much knowledge from. I never knew that Teas could help with your respiratory functions. It’s great to come across articles that will help your everyday life. I enjoy my herbal teas so I will give them a go. I’m interested in trying the eucalyptus tea ! Hi Darren. I am pleased you did find the post helpful, is always good to know readers can take something away from it. Regards. Javier. This is some great information! I am always looking for natural relief methods for my allergies and my sons allergies. I am definitely going to bookmark this article and try some teas when we flare up! Also, living in Minnesota, we tend to get colds a lot throughout the Winter months. I love these ideas! This is really informative and educative. This is a must read for everyone who wishes to maintain good health. Seriously speaking I never knew Eucalyptus aids respiration. I’m sure I’m not the only one that has been educated through this post. I will strongly share this to my friends so they can get educated about this also. Hi Lok. Thank you I am glad you found the post somehow helpful. Eucalyptus and Peppermint are my favorites when it comes to respiratory system aids. And thanks for sharing !!!! My son and I both suffer from allergies and now I have some great ideas as to ways that we can cope with them when we flare up! I also live in Minnesota so we have a long Winter season with lots of colds. There are some great teas listed here that we could greatly benefit from! I’m familiar with Eucalyptus and Spearmint, so these would be the teas that I would most likely want to try first. Especially as I’m not used to drinking herbal teas – I find some to be really difficult to drink if the flavour is too strong. Thanks for the summary of teas that can help with respiratory function. I’m always on the lookout for natural ways to support my health,. Hi Fiona. Great choice of teas!!! Actually, those are the ones I like the most too. I do invite you to bookmark myteashack.com as a reference to get more healthy tips about the many benefits of tea in the future. 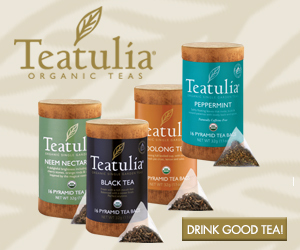 Previous PostPrevious 4 Best Anti-Inflammatory Herbal Teas. 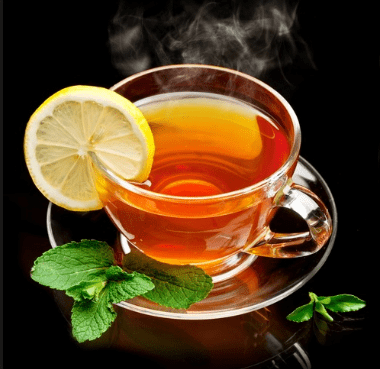 Next PostNext 5 Best Herbal Teas for the Digestive System.